This year I received an early Christmas present, the opportunity to attend Wicked The Musical. Read and re-read the information before me and squealed! Lord knows what Mr Boo thought was going on. With no chance of finding a babysitter so that Mr Boo and I could attend together I was then faced with the possibility of not going. I mean how could I not go to see Wicked?? I needed a partner in crime and lucky for me the very lovely Debbie from Johnson Babies agreed to come along with me. Let me set the scene for you… Terrible weather, queuing traffic, no change for the car park machine, running to catch my train, nearly freezing to death on said train, delays on the underground and a tube that seemed to stop every five seconds… oh and two very excited, giddy ladies. After texting and tweeting our separate journey’s Debbie and I arrived, still not believing the evening ahead of us was truly going to happen. 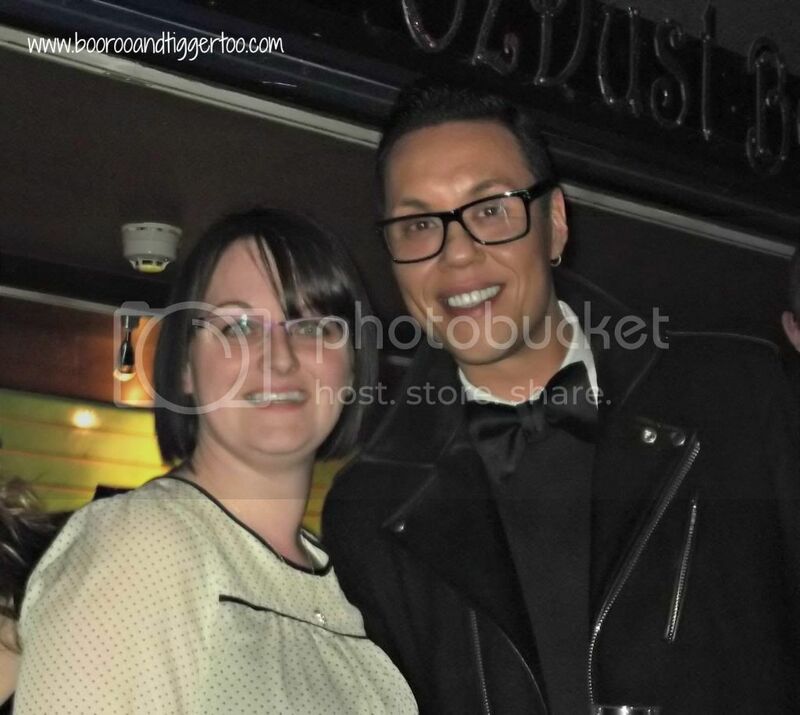 There were celebrities dotted around The Apollo Victoria from Samantha Womack, Robin Windsor, Amanda Byram and my personal favourite of the evening Gok Wan. 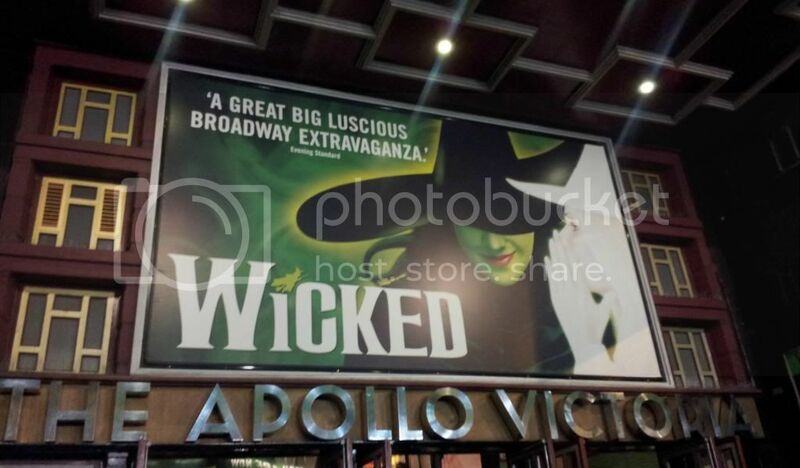 Having admired Wicked The Musical for a long time, even including it in my things to do before I’m forty I had a good understanding of the show. However no matter how many pictures or reviews you read, until you see the show unfold before your eyes can you truly take in the magic, attention to detail, the music and the amazing actors. The show features the story of how Glinda and Elphaba met, became friends and became enemies. Also introducing you to how the scarecrow, tin man and lion became part of the much loved Wizard of Oz story. I would love to share more but I don’t want to ruin the story for those who have not had the chance to see the production. Debbie and I loved the show and were incredibly blessed to attend. If you get the opportunity to go and see Wicked I whole heartily recommend. Disclosure Policy: I received two tickets to attend Wicked The Musical media night, I was not asked to write about my evening but wanted to share such a special night.